Ok, I’ve received the code notification that has been sent to the Iranian Consulate in London authorizing them to give me a visa. I received the news last night with some relief. Now that it is real, I am going to have to make all the preparations in earnest for the trip. 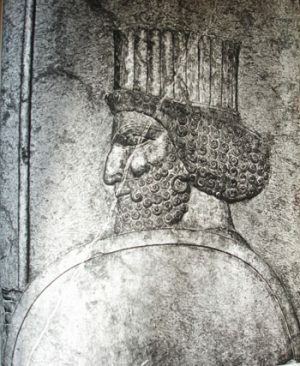 I have been in love with Persia, specifically ancient Persia, since I was a child. So this trip is going to be for me something of a pilgrimage. When I completed the structure for my novel set in ancient Persia quite recently, the notion to go to Iran came to me spontaneously – and, specifically, when I realised that there was still time to get there at around that part of the year when my characters are going to be moving across the same landscapes. My intention is to traverse the same path as my characters, observing the landscape, eating the food (I know it’s different now from what it was then), and looking into the faces of the people and watching their body language. Smelling the smells; feeling the weather on my skin. I have read that the light in Iran is peculiarly limpid and that this has a way of making colours more intense. It is likely that I am only ever going to write a single book set in Iran and thus it seems foolish, since I have been long determined to visit the country, not to go now. I wish to infuse the visceral reality of Iran into my work.